“Ten years ago I stood on the balcony of Freycinet Lodge, the fairy lights flickering through the trees, the music from Twin Peaks floating out into the syrupy air, and I turned to my fiancé Brad and said “this would be a great place to set a novel.” Luckily, Brad was more supportive than Ginny’s fiancé Julian in the novel. I wanted to write a book that I would like to read. So Freycinet contains all the things that I find fascinating about Tasmania; its beauty, its dramatic scenery, its essential, inherent danger. I wanted my novel to be like Picnic at Hanging Rock or Twin Peaks, to create that same sense of atmospheric horror. 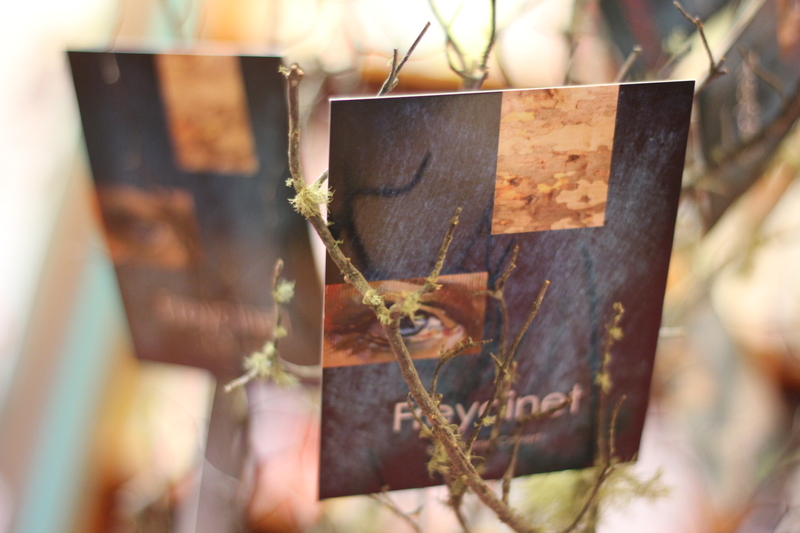 So Freycinet became a psychological murder mystery that depicts Tasmania as a place of great beauty, but also one of mystery and murder; an enigmatic living museum with a history of harsh cruelty. It is essentially an exploration of Tasmania’s strange Gothic potency, referencing Tasmanian cold cases such as the horrific murder of 20-year-old Italian Tourist, Victoria Cafasso, and the still unsolved vanishing of 26-year-old German Tourist Nancy Grunwaldt. It also contains Tasmanian history, Aboriginal myth, European fairy tales, and even ballet plots. Freycinet was written in dribs and drabs over these last 10 years. When my children were little it was written by single paragraphs late at night, just a single, vivid scene or image. Over the years I’ve missed events and outings and meals out to write (although I should confess I’m actually a hermit who prefers to be home alone anyway, so sometimes this was just a good excuse!) It was been written and re-written and put to one side and written again from scratch. And finally it has been pushed out into the world, leaving me to cringingly await its reception. Freycinet is intended as a tribute to my home state, a studied collection of many bits and pieces from my life, and it is filled with things that interest and intrigue me. I hope you enjoy it. Thank you to the fabulous Monica Penders for launching my book today. Thank you to Steve and the staff here at Paperchain, to Kirsten McCulloch, who was one of my early readers, to all the friends and guests who have come here today to celebrate with me, and to all those who have bought my book! Thank you to Brad, Henry and Miranda for putting up with another of my various hare-brained schemes, and to my sister Cindy and my niece Harriet who have travelled from Tasmania to be here today. 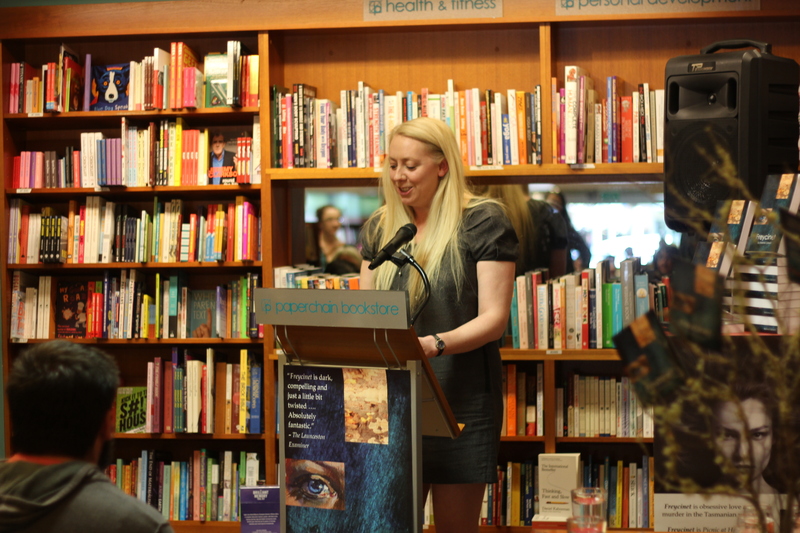 This entry was posted in Uncategorized and tagged Canberra launch, Freycinet, melanie calvert, novel, Paperchain bookstore, tasmania, Tasmanian novel. Bookmark the permalink. This is crazy, but I am actually reading your MA thesis right now and felt compelled to google you! 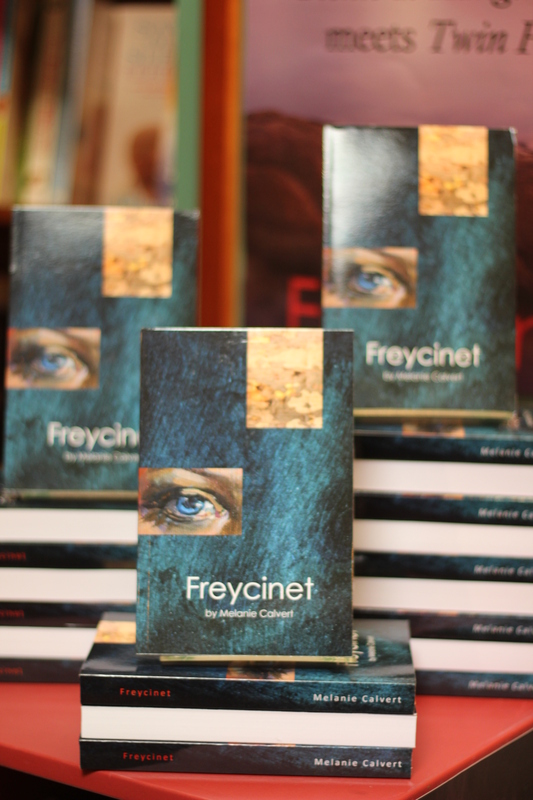 Looks like I’ll have to get a copy of Freycinet to read when the semester is over..
Hi Johanna. Are you doing your Masters? What’s your topic? Melanie. Sadly not yet – still undergrad at this stage. Enjoying your thesis though! I’m writing an assignment on Black Swan and The Red Shoes and it is an amazing reference! I LOVE Black Swan! Glad my thesis has been of use. Good luck with it Johanna! Melanie.